The days, hours, and minutes are quickly winding their way down to Thursday at 4:00 PM, when the first pitch of the 2019 season will be thrown. This season, the Rays look to not only build on their successful 90-72 campaign but also ascend to the postseason for the first time since 2013. 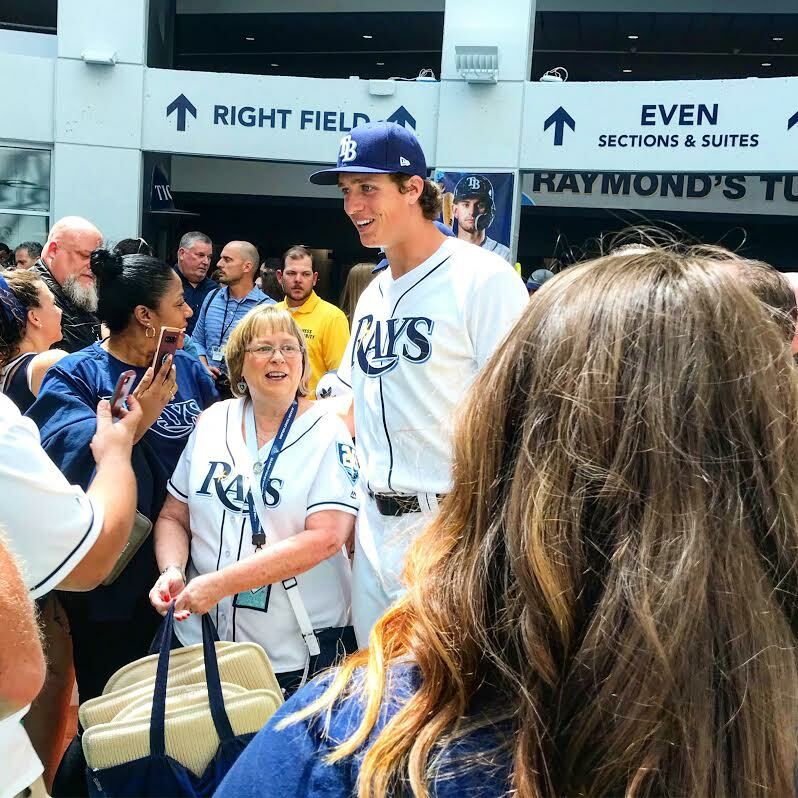 Let’s take a look at some of the Rays offseason moves, and take a stab at predicting the Opening Day roster. Tampa Bay made some solid offseason additions, many of whom will impact the 2019 roster right off the bat. Right-hander Charlie Morton will slot in second in the rotation, Yandy Diaz will spend time both at first and third base, catcher Mike Zunino will be Tampa Bay’s primary backstop, outfielders Avisail Garcia and Guillermo Heredia will give the team some pop, while Emilio Pagan and Adam Kolarek are battling it out for one last spot on the roster. As Neil Solondz (Rays Radio) writes, the decision on Pagan and Kolarek will tie into the Rays’ first three opponents Houston, Colorado, and San Francisco. The Rays also saw the departures of Sergio Romo, CJ Cron, Mallex Smith, Carlos Gomez, Jake Bauers, and Jesus Sucre. Last season Blake Snell rode a 1.89 ERA/2.95 FIP, 221 strikeouts, and a .97 WHIP across 180-2/3 innings to his first American League Cy Young Award. Can he do it again? Time will tell. Tyler Glasnow, who has been called the right-handed Snell, performed to a 4.20 ERA/4.44 FIP following his acquisition from Pittsburgh. Yet he is projected to improve on his numbers in 2019. Morton, who made his first All-Star appearance in 2018 thanks to a 3.13 ERA and 201 punch outs, inked a two-year deal. They will constitute the Rays starting rotation. The final two spots will be occupied by openers, who will work ahead of Ryan Yarbrough (who hurled 147-1/3 innings last season) and Yonny Chirinos (who hurled 89-2/3 innings in 2018). Ryne Stanek, and Pagan or Kolarek are Tampa Bay’s opener options, while Jalen Beeks is slated for bulk innings/long relief work. Wilmer Font, who is out of options, will also be on the Opening Day roster. Font could be used as a bulk inning guy, although he could also be used as an opener when needed. In the bullpen, Jose Alvarado and Chaz Roe — who combined for nine saves last season — will likely close by committee, while Diego Castillo is expected to be the setup man. The Rays traded away speedy outfielder Mallex Smith to the Mariners for Zunino, who hit 20 home runs in 113 games last season. He is regarded as one of the best power hitting catchers, although his overall line is mediocre at best. Thankfully Zunino is a good defensive catcher. Michael Perez will be Zunino’s understudy as it were. Perez was impressive after he was acquired from Arizona, however, his time was limited due to a season-ending injury. Tampa Bay was faced with a challenge when the team traded Bauers away to Cleveland: who would take over first base? However, the answer became clear during Spring Training as Ji-Man Choi and Yandy Diaz showed they can handle the spot. Moreover, the Rays recently extended infielder/outfielder Brandon Lowe, and we shouldn’t forget about utility man Daniel Robertson who has shown to be defensively gifted wherever he is positioned. Unfortunately, third baseman Matt Duffy will start the season on the injured list. Diaz, Robertson, and Joey Wendle are expected to fill in for Duffy while he mends on the IL. Wendle, otherwise, will spend the most time at second. Shortstop Willy Adames rounds out the infield and is primed for a breakout season after slashing .305 BA/.383 OBP/.435 SLG/.818 OPS with seven homers and 35 RBI in the second half of last season. Kevin Kiemaier is not only the face of the franchise, but he will also patrol centerfield … assuming he has a clean, injury-free season. Tommy Pham, acquired at the trade deadline, slashed .331 BA/.433 OBP/.580 SLG/1.013 OPS in the second half of the season and should spend his time prowling left-field. Austin Meadows will get the majority of the reps in right-field, while Garcia — who is coming off of knee surgery and had an excellent Spring — will platoon the corners. 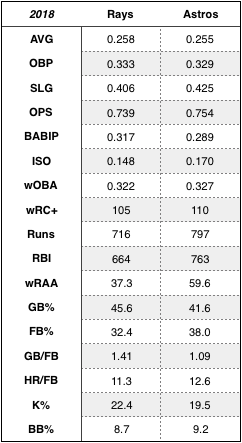 There are correlations between the graphs (below) when the Rays performed exceedingly well, and when they didn’t. From series 29 onward, Tampa Bay mostly fired on all cylinders and ultimately put up an epic 41-25 second half. The question begs, did the Rays make enough offseason moves to perform consistently without the lulls? — Now I’m feeling kind of blue. 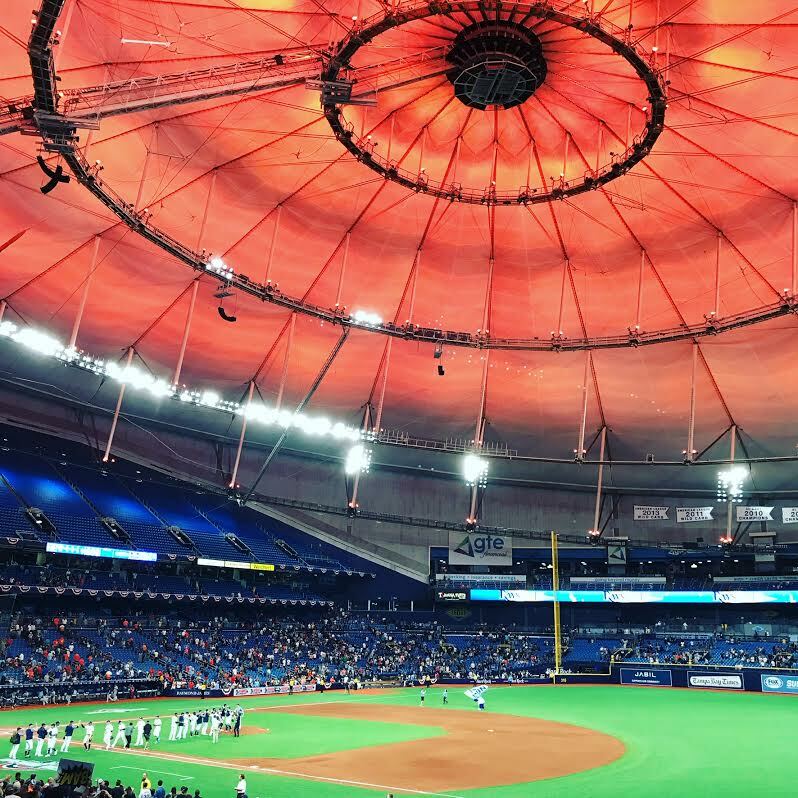 According to Marc Topkin (Tampa Bay Times), the Rays are potentially holding off their plan to light Tropicana Field’s roof blue for ballgames. — The Rays updated their concession/food hall options on Monday. More importantly, though, the team confirmed that the Impossible Burger will be available at Tropicana Field this season. Yes! — Just six days left to preorder a “Legend of Dan Johnson” t-shirt. Ordering information at the link. The Tampa Bay Rays moved one step closer to announcing the Opening Day roster on Sunday, announcing that outfielder Guillermo Heredia and pitcher Jalen Beeks earned two of the final spots. With news that third baseman Matt Duffy (hamstring) will miss a significant amount of time on the injured list (IL, more on that below), Heredia — acquired from Seattle with catcher Mike Zunino — received the news Sunday that he will break camp with the team. It went down to the wire, probably a little longer than we would’ve wanted, but he’s very, very deserving. He’s going to complement our team well. He’s a great defender. A guy that can come off the bench and hit or run, be in there against lefties, and then we’ll see where we go. Between him and (Kevin Kiermaier), you have two elite-level center fielders. And while the move is likely temporary, pending the return of Duffy, Heredia said he plans to make the most of this opportunity. It’s a really important first step in my career, especially coming over from another organization. I’m really happy about the news. It’s a step in the right direction. … Injuries are part of the game. I’m here to contribute any way they need me to help them win ballgames. Rays manager Kevin Cash also announced that Yandy Diaz will start at third on Opening Day, although Daniel Robertson and Joey Wendle also will get time there in the interim, mostly since Diaz is slated to play first against left-handed starters. Beeks earned a spot on the roster thanks to his ability to provide multiple innings of work, serving as a third “bulk inning guy” with Ryan Yarbrough and Yonny Chirinos slated to work primarily behind openers. Beeks continued his nifty Spring on Sunday, striking out seven of nine batters across three perfect innings. Cash has been impressed by Beeks, who increased his velocity and consistency since the start of camp. Really have seen him make some big steps this spring. The moves leave Adam Kolarek, Emilio Pagan, and Hunter Wood competing for what could be the final roster spot. As Marc Topkin (Tampa Bay Times) posited though, that’s assuming the Rays stick with Wilmer Font, who has not looked good this spring. But Font is out of options, and the Rays would risk losing him or could put him on the IL. The 25-man decisions could be finalized by the end of the day on Monday, although the team doesn’t have to submit its roster until Thursday. As I wrote on Sunday, Matt Duffy will start the season on the IL. Duffy underwent some tests on Sunday, which determined that the injury will take more time than he and the Rays had hoped or anticipated. He will be shut down for about two weeks after the examinations showed his hamstring issue could be back related. We’re going to probably take our time, and he’ll probably go to some non-baseball activities for about two weeks, then see how he’s feeling after that. 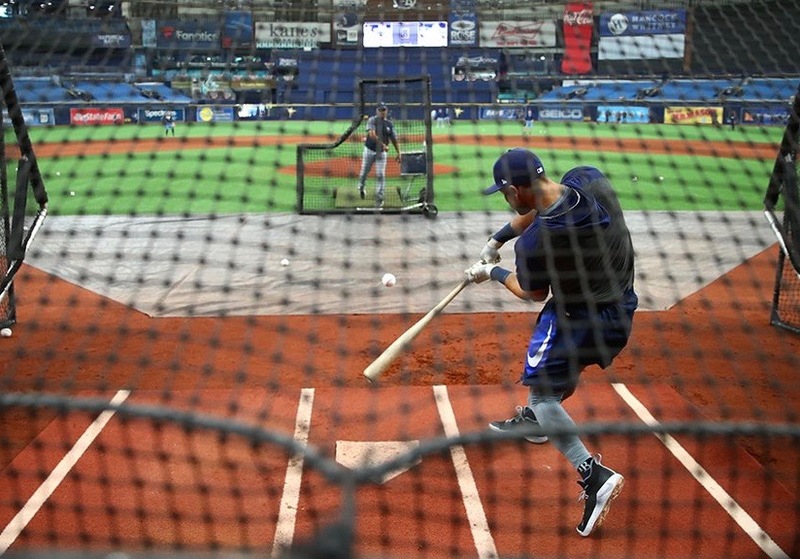 — On Sunday, Rays players got their first opportunity to get familiar with the new LED lighting at Tropicana Field when the team hosted its first pregame workout before the exhibition game against Atlanta in North Port. No, the roof shouldn’t be that blue during ballgames. One criticism of the Trop has always been the color of the roof which makes it difficult to pick up the rubbed up baseball on fly-balls. The Rays solution: take advantage of the new LED illumination system and light the inside of the Trop roof blue during games this season. The team hopes the change will improve playability, with fewer balls getting lost in the roof while providing a more natural look, similar to a blue sky — somewhere between royal and navy blue. The new blue LED lights shining on the roof are pending approval from Major League Baseball. Per MLB regulations, consistent color for all games, day or night, is expected. 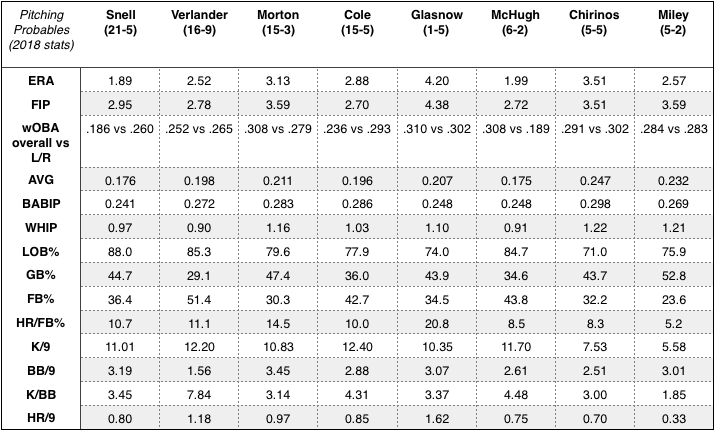 There’s still people looking at it, as far as what players are going to think, what the team thinks, what MLB thinks. It’s such a new thing. It’s pretty cool looking at night. However, team officials are confident the change will be approved in the next few days. Overall though, Rays players and coaches seemed to like what they saw. I thought it was awesome. Really cool to see it. The feedback was good, fly balls, pop-ups to the infielders. It will be interesting to see it (Sunday night). From what I’ve been told and seen on pictures, it’s like a darker blue that gives more contrast to the ball. It’s for playing benefits. The roof has always been somewhat challenging, and (this will) help the players track balls. Austin Meadows and Guillermo Heredia, two players with limited experience of playing at the Trop, both felt the blue look helped. It’s a lot better. It will take some of that glare from the roof. Kevin Kiermaier didn’t notice much of a change, although he said any improvement would be welcome. There’s balls every year that give me trouble. It’s not fun being out there. At the same time, I’d like to think that the opposition, over the five years I’ve been here, have more problems than us. But there’s always a play that’s affected, whether it’s us or the other team. It seems like every night there’s always a play that can affect the game one way or another. Cash and the rest of the coaching staff headed back to Tropicana Field Sunday night for a better look at how blue it will look then. The team is scheduled to workout three more times at home, not to mention Tuesday’s exhibition game against Detroit, which should help familiarize them with the lights and the new turf before Opening Day on Thursday.